Staff at The Maelor School are raising money this year in aid of cancer research. 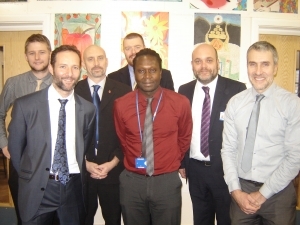 There are a number of things taking place, the first being seven male teachers growing beards throughout November 2013. Those taking part are Mr Aylward, Mr Bright, Mr Hughes, Mr Connelly, Mr Bruce-Pinard, Mr Rose and Headteacher, Mr Ellis. Their beards will be shaved off ceremoniously in the school hall in front of pupils on Friday 29 November by a professional barber. All are looking forward to being clean shaven again. Information will be sent home to parents/carers giving information for those who wish to support the cause.